90% of all purchasing decisions are not made consciously. Brands and products that evoke our emotions always win. 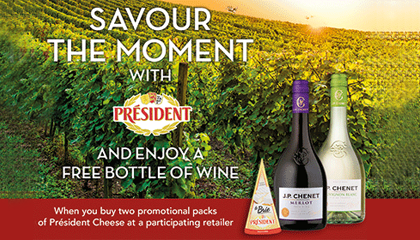 Free bottle of J.P. Chenet wine with the purchase of two promotional packs of Cheese. 1. Customer purchases two promotional packs of Président Cheese and is directed to the promotional website via the on-pack sticker. 2. Customer enters their details, uploads proof of purchase and chooses their preferred bottle of J.P. Chenet wine. 3. Once validated the customer received a confirmation email and was sent their bottle of wine in the post. Target: Own the 8’oclock ‘sofa’ moment and increase brand loyalty. Results: This campaign received the highest number of customer testimonials TLC had seen that year with one customer sending in a picture of them enjoying their cheese and wine on the sofa. The campaign has made the IPM Awards 2017 list of finalists. Results to be announced on 7th June 2017 at the Hilton, Park Lane. 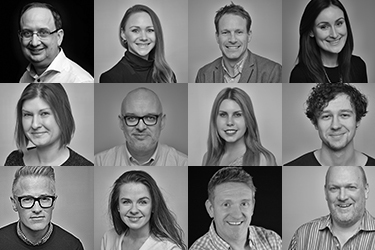 For quantitative results please get in touch with the team on 020 7725 6000 or drop us an email, lets.talk@tlcmarketing.com.